Listing all posts with label war cats. Show all posts. 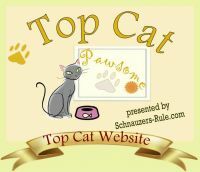 After reading a lot about "war dogs", the canines who assist our troops in war zones, I'd often wondered about cats in war zones, and what types of relationships may exist between them and soldiers. 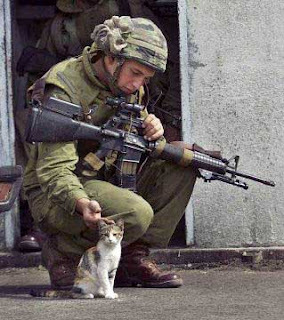 Then I ran across this story about a soldier's special relationship with a kitten, and it warmed my heart.